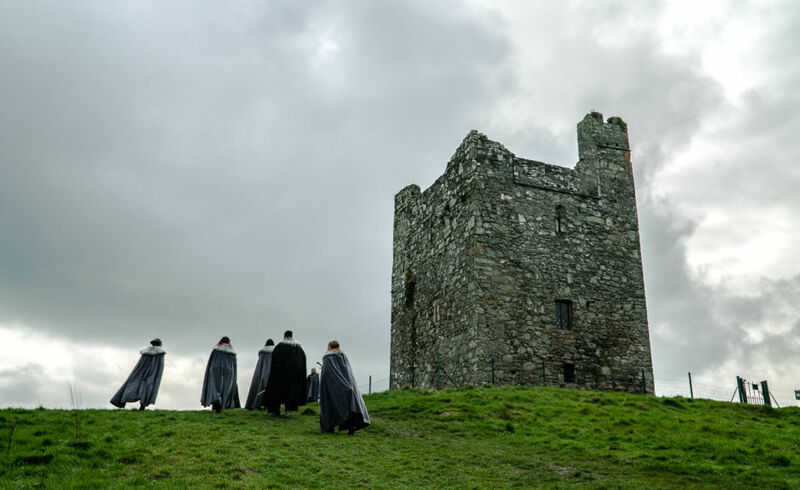 THE RUGGED landscapes of Northern Ireland are so inspiring and beautiful that 70% of Game of Thrones (GoT) filming locations were chosen to take place there. The great beauty of the area seemed almost surreal to me. 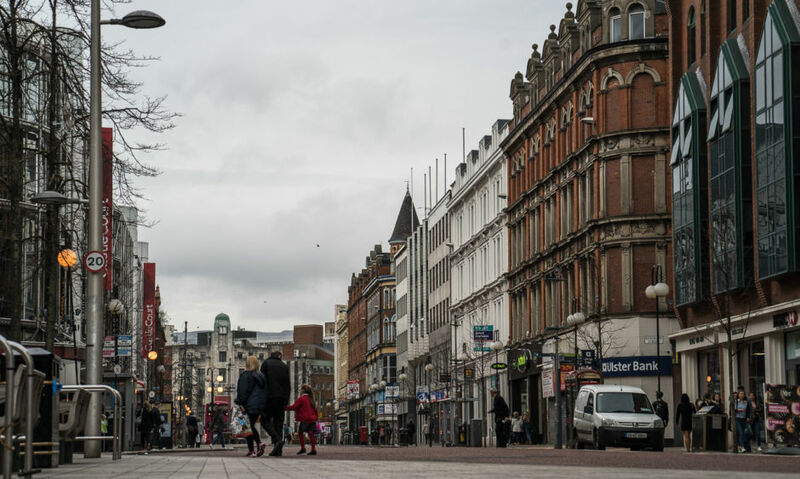 I was captivated by Belfast’s rich culture and the area’s seemingly endless options for outdoor adventure. 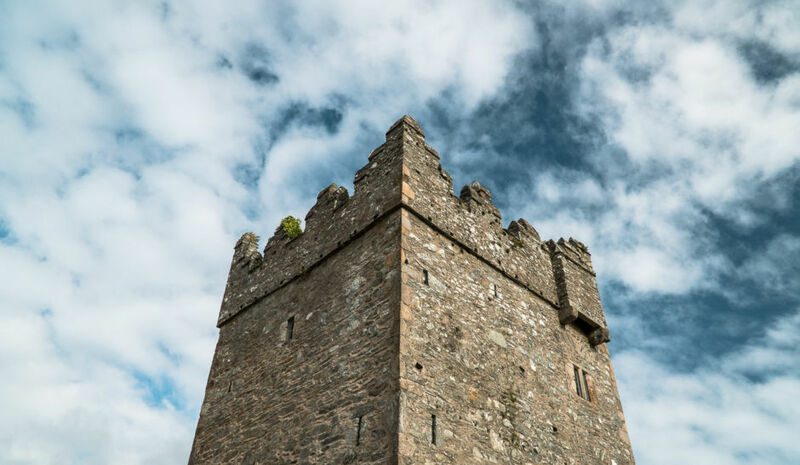 An abundance of birdlife, local festivals, and a large number of sporting events make a trip to Northern Ireland a rich and intriguing experience. 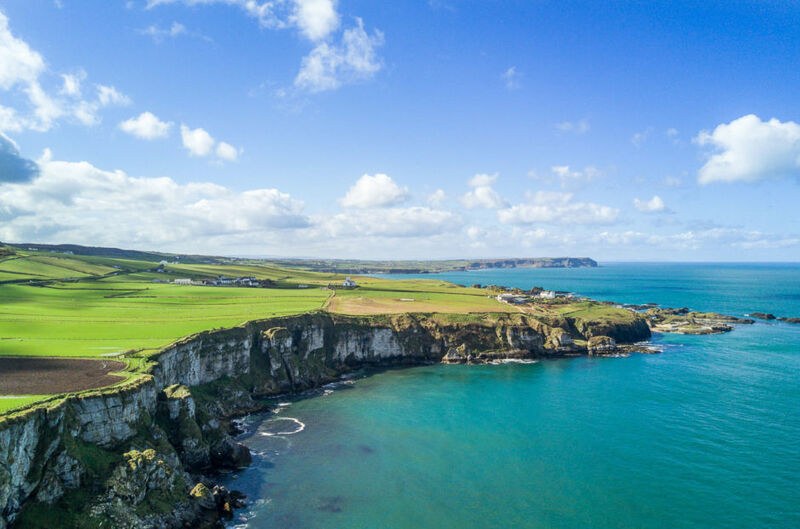 The coastline at Belfast and beyond in Northern Ireland is one of the world’s best road trips, a vibrant mix of greens and blues as well as castles, cliffs, and mysterious forests. You'll want to stop and let yourself soak up the beauty. 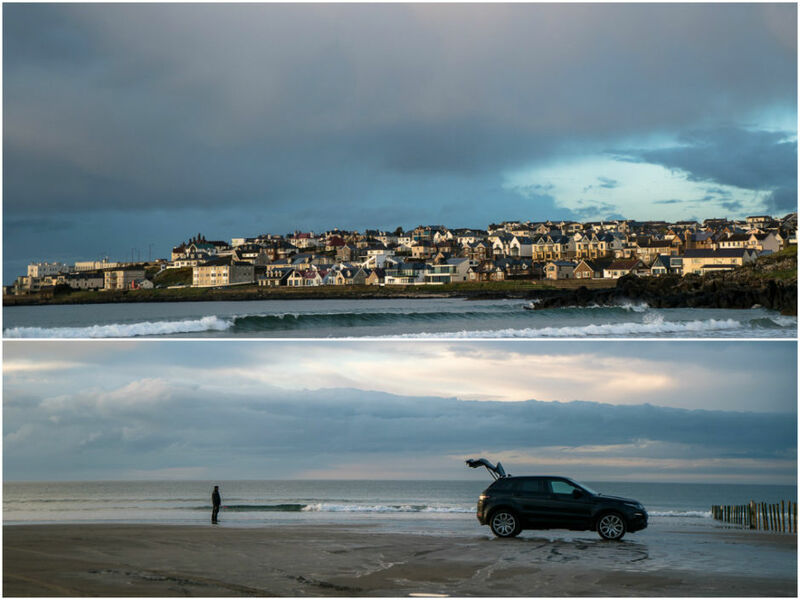 Portstewart Strand is one of the top 10 visitor attractions in Northern Ireland. You're allowed to drive vehicles and park on the beach, which has been a tradition for decades. Despite this, it's rated as a Blue Flag beach, meaning it meets strict guidelines concerning "standards for water quality, safety, environmental education and information." 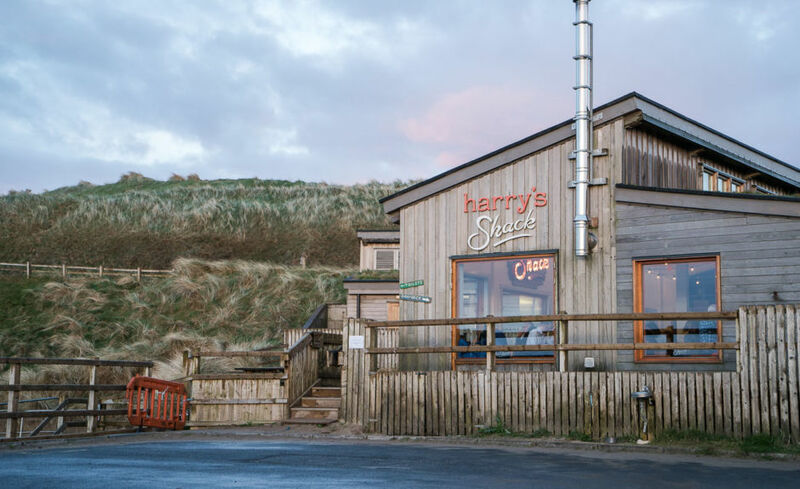 One of the Northern Ireland’s most buzz-worthy restaurants is on the beach at Portstewart Strand. This place used to be a National Trust Information Centre, but it was transformed into a must-eat-here restaurant that serves fresh seafood and offers brunch, lunch, coffee, and dinner. All the fruits, vegetables and herbs come from Harry's Shack's own organic farm. The lemon tart with raspberry ice cream was one of the best desserts I’ve ever tried. 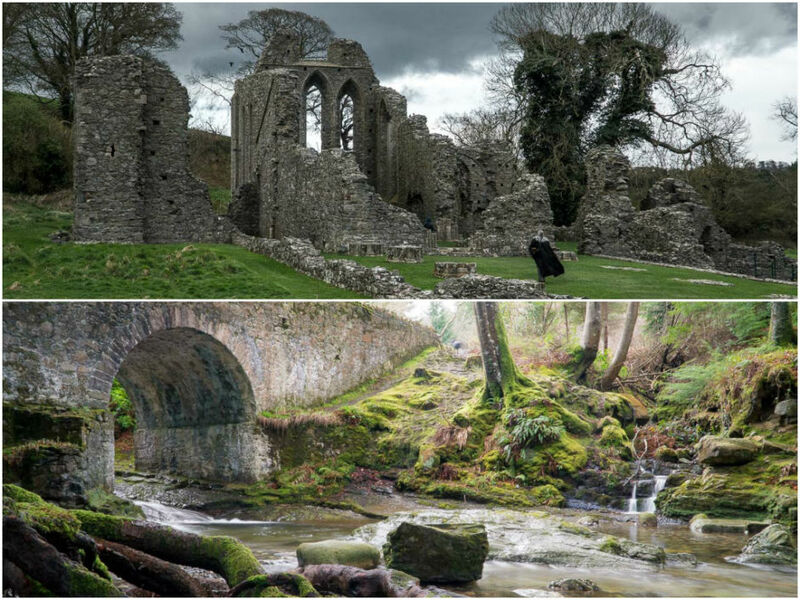 The towers and grounds of Castle Ward in Northern Ireland is the set of Winterfell in Game of Thrones. 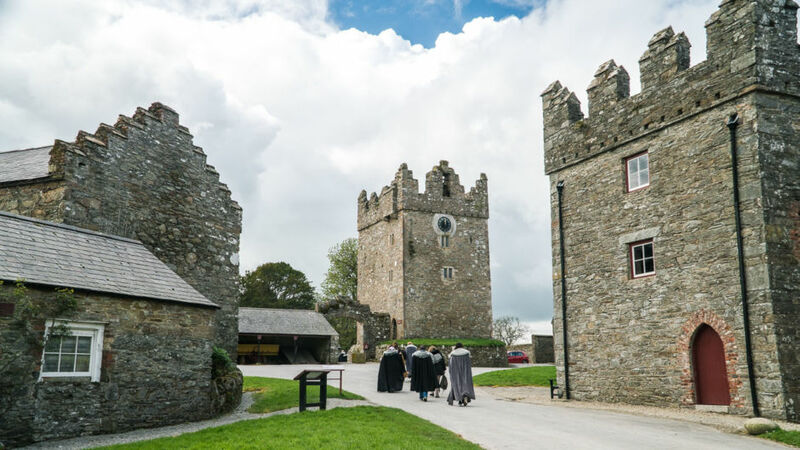 Here you can get the full GoT experience: wear the clothes of your favorite characters from the series, try archery, and even have an authentic medieval banquet. The crows, the atmosphere, the ruins…the whole scene. The guy with the cape in the background makes you feel that you are living in the Seven Kingdoms. After looking at my photos at home on my computer, I found many of them looked exactly like real scenes from the GoT series. It’s located off the north coast of County Antrim in Northern Ireland. 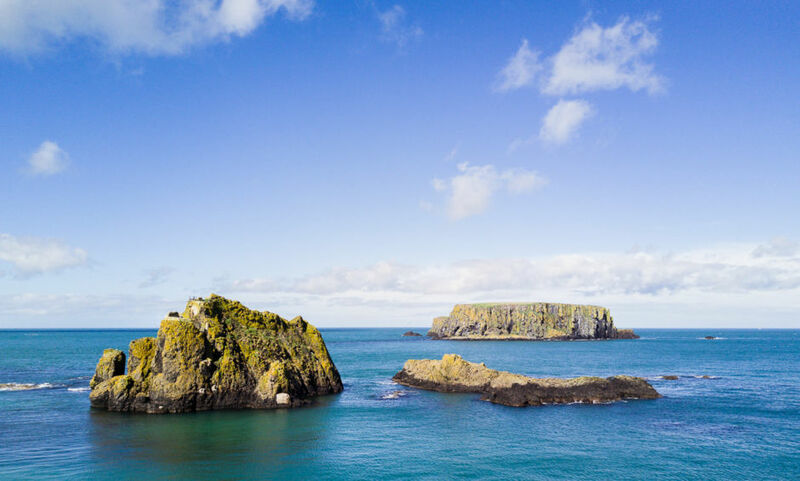 This small, exposed island with steep cliffs and rocky shore is filled with the vivid greens of the Irish countryside. The Giant's Causeway is one of Northern Ireland’s most popular attractions. Near-perfect hexagonal black basalt columns are stacked next to each other almost like puzzle pieces. There are two theories as to how this place came to be, one mythical and one scientific. 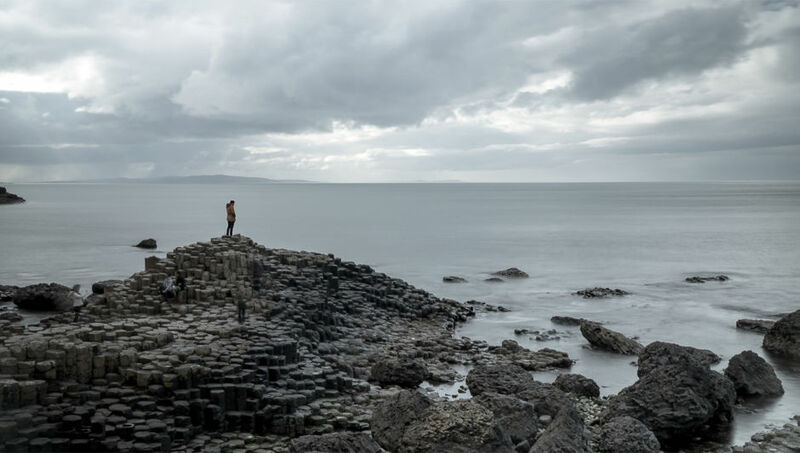 Legend has it that a giant (named Finn) grabbed chunks of the Antrim coast and threw them into the sea; if you go with science, the Causeway is the aftermath of a volcanic explosion and cooling. As you continue along the coast, you come across many more beautiful old monuments. I imagined this scene 500 years ago with archers on the top and huge feasts inside. 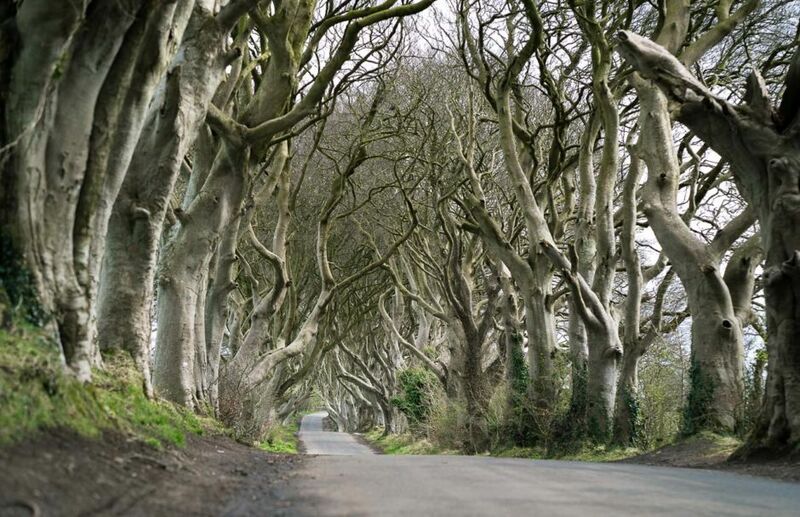 This road was made famous by appearing on a 16-second shot in Game of Thrones. I wish it didn’t so I could have had it for myself; it’s amazing. 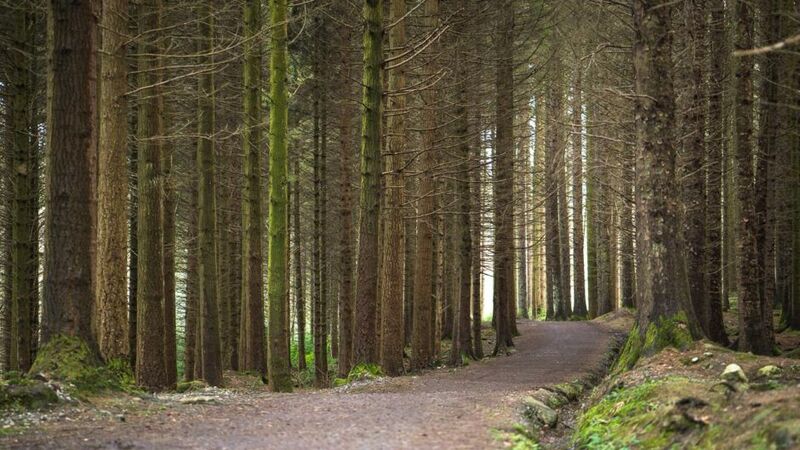 After a big storm fell some of the trees, Northern Ireland tourism and HBO carved 10 intricately designed pub doors with the wood of these trees, each one telling the story of an episode of the GoT season 6. The doors are displayed in different pubs and cafés across Northern Ireland and are situated near iconic filming locations. The grandeur of these trees and the surroundings explains why they shot so many scenes of GoT in this place. The first episode was filmed here. You can feel for yourself the “winds” of the North and wonder when winter is coming. Planning for City Hall started in 1888 but it wasn't until 1898 that construction began. It ended in 1906. Renovation in 2009 added floodlights to the exterior to light up the building in different colors and combinations. On special days like St. Patrick's Day, International Women's Day, and Belfast Pride it will glow in green, purple, and rainbow respectively. 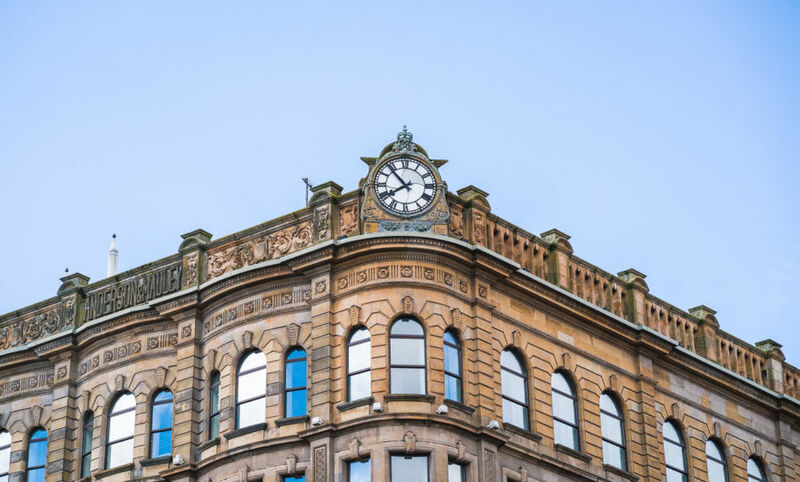 Like many European cities, Belfast's architecture is a mixture of old and new. Buildings date back to the Georgian period in the 1700s, the Victorian era of the 1800s, and into the Edwardian to modern day. As you walk the city's streets, you can really appreciate the scale of time.